"Kids cannot bounce off the walls..... 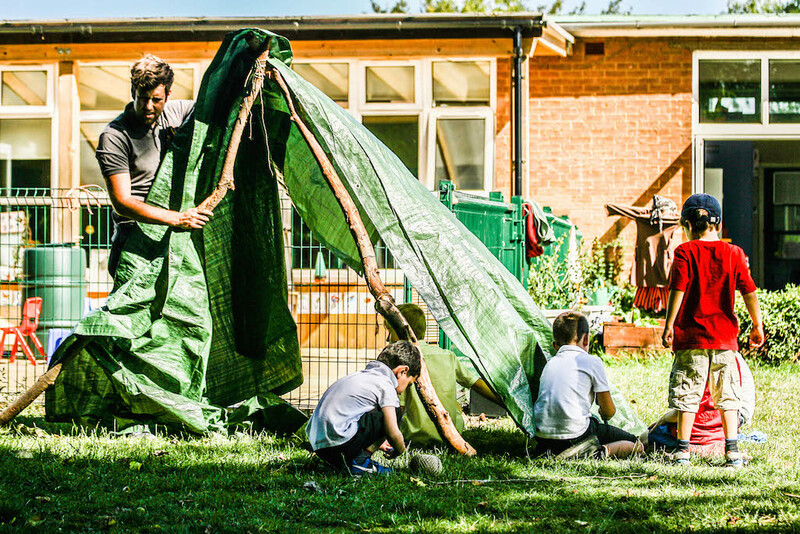 If you take away the walls"
We welcome children between 4 and 11 to our child-led play spaces at Girton primary school, Ridgefield primary school and Haddenham Primary schools in Cambridgshire. Children are free to express themselves, relax and build their self-esteem. Our well-trained staff ensure accessible, welcoming play spaces, so everyone feels welcome, cared for, supported, safe and comfortable. The ethos within Smartkidz Play and Learn focuses on children being children, all decisions made are from a child’s point of view within the play community. The play community has been created by the expertise of the children and the playworkers to enhance the play experiences within the setting. The outdoor area is created to resemble, as much as possible, the adventure playgrounds from the 1960’s. We have added ropes swings, climbing nets, fire pit area, loose parts (crates, tyres, wood, old bikes, drain pipes, pallets and ropes, these will vary depending on which setting you are using) allowing children to take part in a range of different play types (Bob Hughes theory) with experiences that the children may not have come across before, from climbing high, lighting fires, using tools, playing in a variety of weathers and playing in the dark. All areas of the club are continuously evaluated and adapted depending on the needs of the children, what is or isn’t being used and what the children want or suggest, alternatively the areas of the setting may be adapted by the children themselves which we allow where possible (i.e keeping within the regulatory boundaries of the space that we are using) and adults will support the children where necessary. When it come to the children using the space, staff are very much aware that children are allowed to express themselves freely with very little input from staff members. Children know staff members are available when they wish to use them, however this is on the child’s terms and the children will initiate any play with staff. We use a range of theories in order to make sure that the children are getting the most out of play and that we are maximizing the space sufficiently. These include affordances; what uses you can get out of an item or thing other then its actual use, Play value; how many different types of play can you get from one item (low, medium or high), Neophilia; creating interest and excitement through changes or adaptions and Loose parts; giving children “stuff/junk” in order for them to use their imagination.